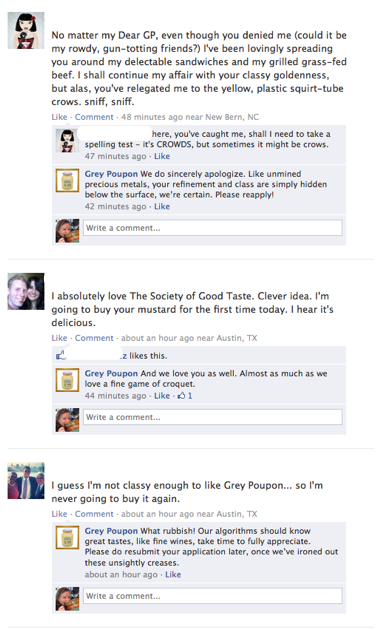 I guess I’m not good enough to eat certain brands of mustard 😦 As an avid eater of Grey Poupon mustard, I was interested to read that they had launched a campaign today on Facebook, that requires one to apply to become a ‘member’ of their Facebook page. 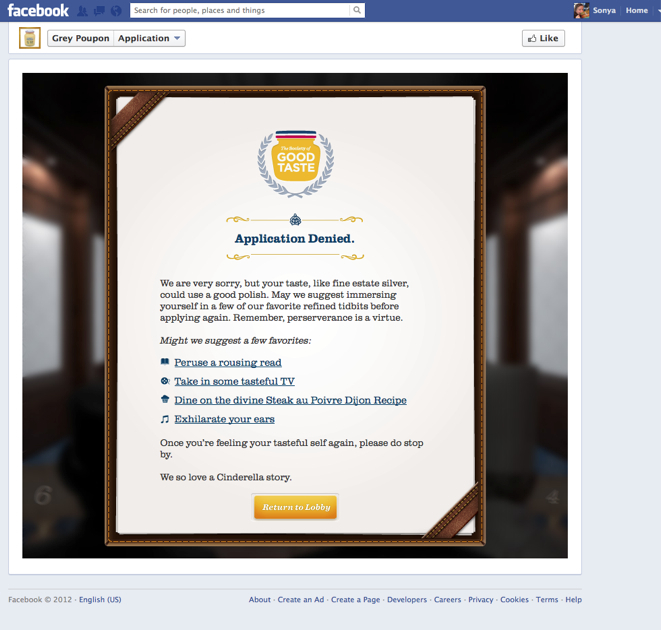 Instead of simply ‘liking’ the page, you have to submit an application that screens your Facebook profile, to determine if your up to snuff to be granted access to their Facebook page. (If you ‘like’ their page, they will cancel that like – somehow). At first it seemed ingenious! I mean, how better to create a loyal and engaged following than by being selective about who you interact with. But what happens if they’re selection filter isn’t working properly, and once loyal eaters are denied access? Well – they lose customers, and they create negative feelings towards their brand. Previous Post Fake It ‘Til You Make It?